This super-easy paper mache paste contains no flour, it’s gluten-free, and it doesn’t attract mold or insects. 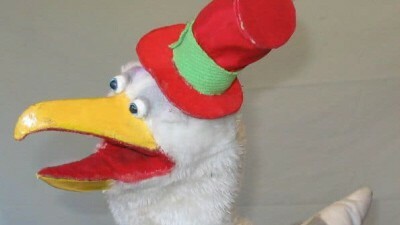 And it’s perfect for grade school art teachers. 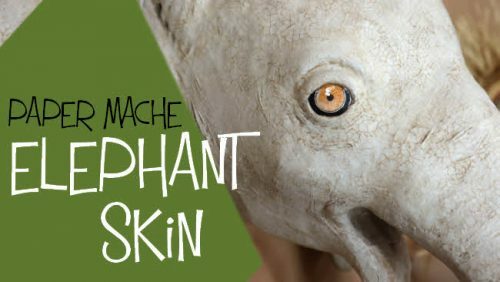 Use this easy crackle glaze to make your paper mache elephant’s skin look more realistic – and see what I would do differently next time. 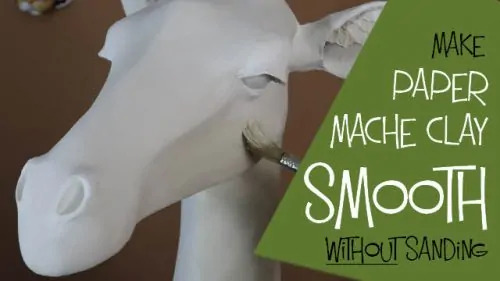 This video shows you how to smooth out the papery texture of paper mache clay without adding a second coat, and without sanding. Plus, it’s really easy! 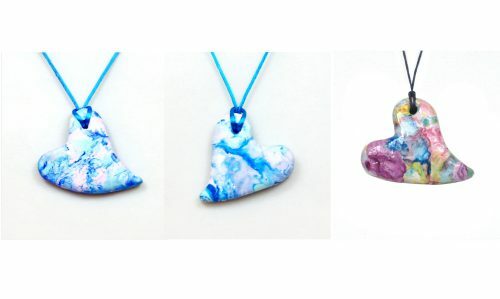 Make your own hand-crafted necklace pendants and beads with paper mache clay, and decorate with decoupage or acrylic pouring technique. Full tutorial. 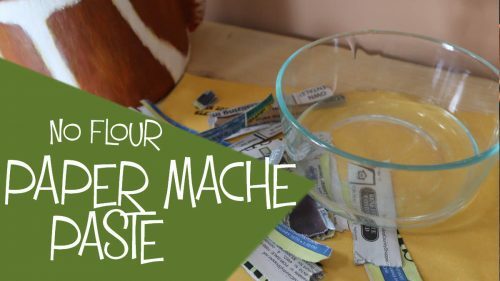 This is the famous recipe that takes all the mess and frustration out of paper mache. 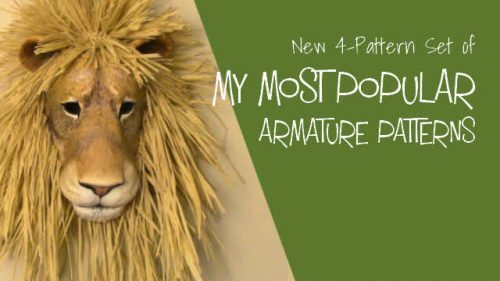 It makes sculpting fun again – paper mache in a whole new way! 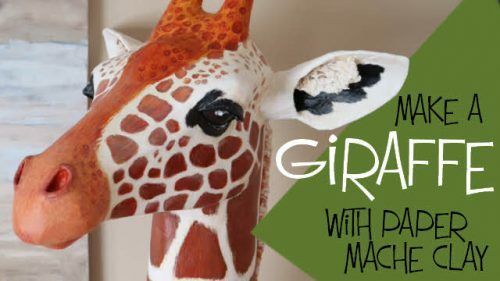 This paper mache clay recipe without flour will be helpful for paper mache sculptors who worry about critters being attracted to the flour in the original recipe. 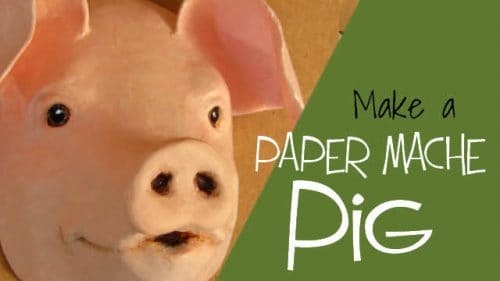 Use this easy pattern to create a happy paper mache pig wall sculpture. 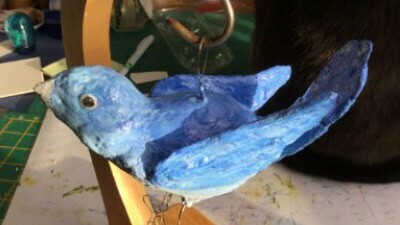 Use cardboard, tape, and paper mache, and paint for a fast, fun project. 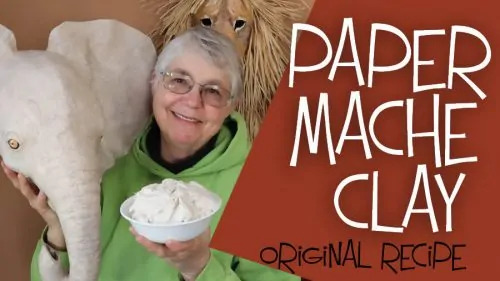 An unusual method of making paper mache, and a 3-generation history with puppets. 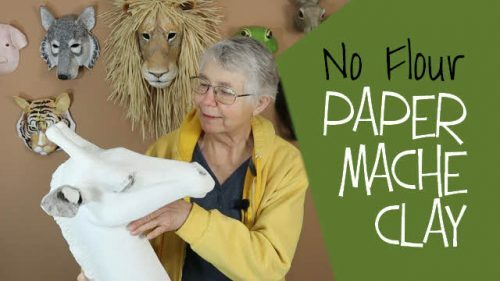 Use these professionally-designed armature patterns to create four different animal sculptures and masks with paper mache. 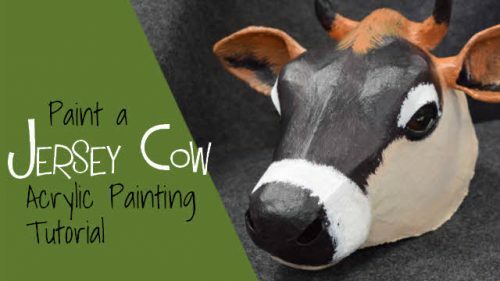 Use just 5 colors to paint a paper mache Jersey cow sculpture based on a downloadable armature pattern. Video tutorial by acrylic painter Jessie Rasche.